When Spain finally offers citizenship to Sephardic Jews, will you qualify? According to Spain’s Justice Minister, who spoke at the American Jewish Committee’s offices in New York on March 19, the requirements to prove Sephardic descent will be loose. “The government is not looking to be strict,” said Alberto Ruiz-Gallardón, speaking with the Forward after delivering his official remarks at the AJC luncheon. Gallardón and another minister first announced their plan to offer citizenship to the descendants of Jews expelled from Spain in 1492 at a press conference in Madrid in 2012. The Forward published an essay on the plan in January 2014; Spain’s cabinet approved the bill two weeks later. The law still must be voted on by Spain’s parliament. The proposal is, apparently, big news in Spain: reporters from at least eight Spanish media outlets attended the AJC lunch, including representatives from four television stations and two radio stations. Gallardón spoke in Spanish in front of a crowd made up of AJC officials and diplomats. His speech ranged widely over the history of Jews in New York, the impact on Spain of the expulsion of the Jews, and the rebuilding of Spain’s relationship with Jews, which he traced to a friendly encounter between Sephardic Jews and Spanish troops in Morocco in 1859. Gallardón said that it was too early to say how many Sephardic Jews the government expected to take advantage of the citizenship law if it passes, but that he didn’t expect many Sephardic Jews to actually move to Spain. Asked after the speech about how Spain will decide who does and doesn’t qualify as a Sephardic Jew, Gallardón described a number of measures laid out in the draft bill. The surnames of applicants will be examined, and they will be asked to submit certifications from local rabbis or Jewish communal authorities. The text of the draft bill, however, leaves unanswered questions about how strong the Sephardic ties of a qualified applicant must be. When asked about one example of a marginal case — the Syrian Jewish community, many of whom are not descended from Jews expelled from Spain, but who do consider themselves Sephardic — Galladrón said that his government’s intention was not to be overly strict. “We are opening the door,” Gallardón said. This story "Sephardic Jews Won't Face 'Strict' Spanish Citizenship Rules, Justice Minister Says" was written by Josh Nathan-Kazis. 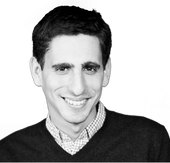 Josh Nathan-Kazis is a staff writer for the Forward. He covers charities and politics, and writes investigations and longform.